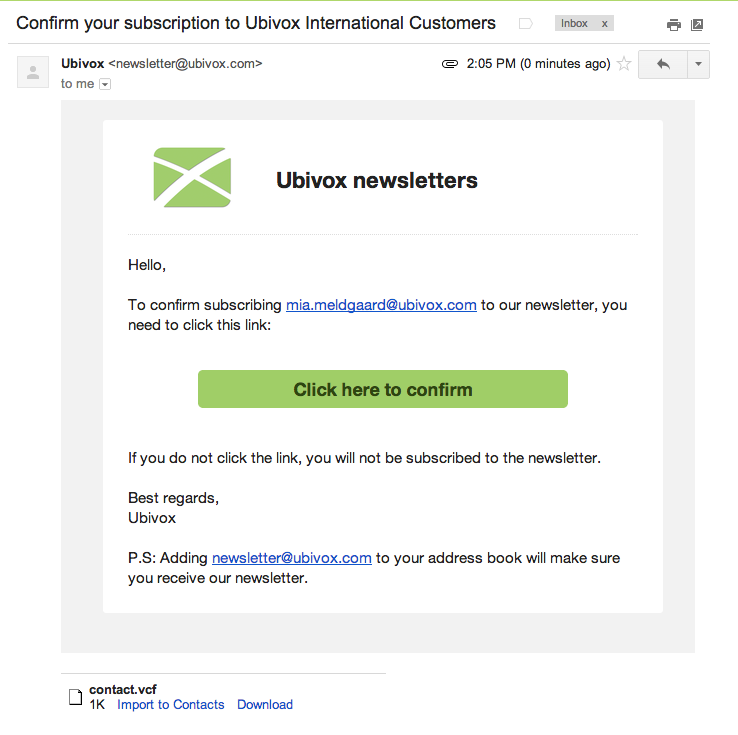 When a receiver subscribes to a list, Ubivox sends a so-called opt-in-mail. An opt-in-mail is an email containing a link, which the receiver has to click in order to confirm his/her subscription. This is done in order to ensure that a functional email address is being submitted. The subscription will not be active until the receiver clicks at the link. The system will wait for the receiver to confirm. In the mean time the receiver will appear as Pending end-user authorization. If the receiver has failed to see the opt-in-mail a new one can be send from the receivers profile in Ubivox. Once the receiver has approved the email a confirmation will appear.